Walk down any high street and you will see specialist lending stores advertising payday advances. The basic idea behind a payday loan is that a customer will borrow a set amount of money and it will then be repaid when their next salary comes in. Payday advances can be a useful way to tide a person over until the next payday or to cover a financial emergency. Payday advances are an amount of money, usually from between £50 to £1000 that can be used for whatever reason the borrower wishes. The loan will be paid back with interest on the next payday although many borrowers will provide extensions to this length of time. One of the major issues when considering a payday advance is to check the interest that will be charged by lenders. Rates will vary from lender to lender and some will charge very high annual percentage rates. 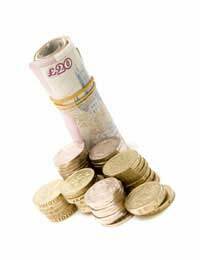 If reputable payday lenders are used then the amount repayable is usually £20 on every £100 borrowed. However, the interest will accumulate and there may be additional interest applied if extensions are granted on the advance. Payday advances do not usually have set up fees as would be found with bank loans. But the interest rates will normally be many times that of normal bank loan rates. Payday advances can be useful in a number of situations. If a borrower needs some very quick cash then some payday advances can be supplied on the same application day.If the borrower has a bad credit record but has enough funds to cover the advance on payday then there should also not be a problem in borrowing. Payday advances are one of the few cash borrowing facilities where credit histories are not relevant as long as there is enough cash to cover the loan. If you are the type of borrower who continually racks up late and missed payment fees every month then payday advances may help. Fees from missed payments on other loans and credit cards can soon mount up over the course of a month. Missed fees can also leave a damaging mark on credit records and should be avoided. If you can find a payday advance with a low rate of interest then it may be worthwhile borrowing in the short term to cover missed payments on other debts. This can stop mounting fees and avoid damaging a credit record. There are many high street lenders that offer payday advances or you can shop online. Use comparison sites that will be able to inform you of the lowest rates of interest. Never settle for the first offer you see; by shopping around online you may be able to find better deals than with high street lenders. Always keep an eye on the interest rates, these will determine how much extra you will have to repay. There are some unregulated lender’s who will apply extortionate interest rates and they should be avoided. When applying for a payday advance there will be some important information needed. This will include recent bank statements, payslips, proof of address such as an electricity or gas bill, and proof of a working debit card. Making online applications will mean that this information is either posted to the lender or sent as copies via email or fax. By doing this the application will take longer to process and receiving the cash can be delayed. Payday advances are a good short term lending option. Due to the high rates of interest they are not suitable for long term borrowing. It is never a good idea to repeatedly use this type of service as you will pay a lot of interest on the loans. But in the short term payday advances may be a good option for those with bad credit records who have difficulty obtaining overdrafts or other lending options.